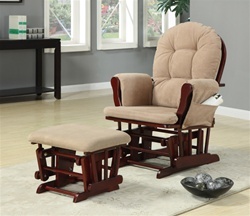 Selection - We offer a complete line of Glider Recliners, perfect for your living room, nursery, bedroom, or practically anywhere else. If there is something you are looking for and you do not see it online, call us at 877-327-0056. Satisfaction - We stand behind everything we sell at HomeCinemaCenter.com, and strive to provide the best online shopping experience. We're committed to offering an unparalleled selection, thorough product knowledge, and excellent service.